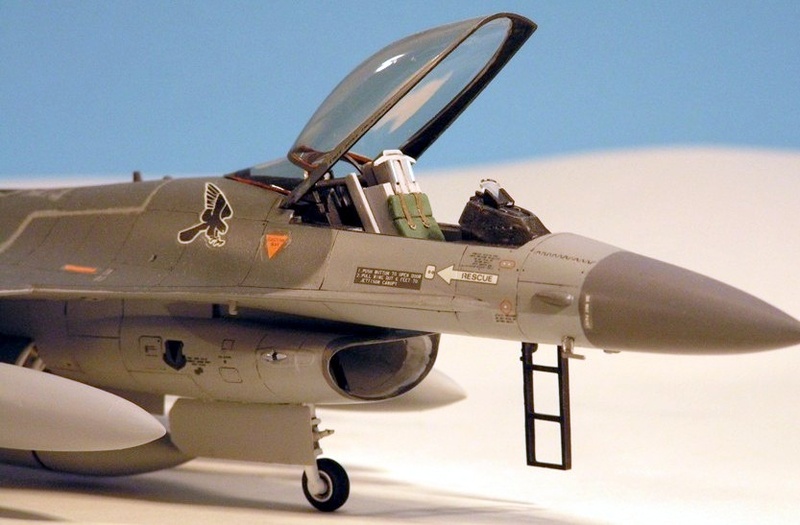 The second Viper in my collection is this Hasegawa F-16C Fighting Falcon. 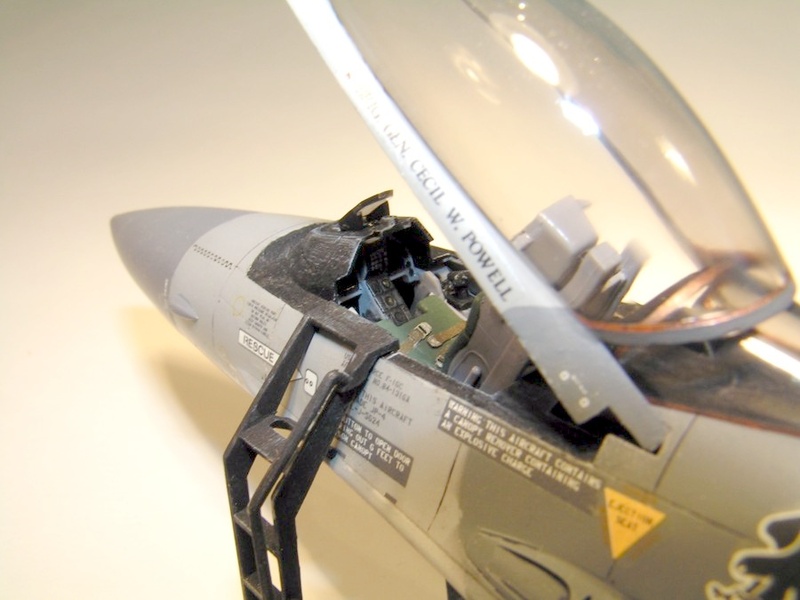 As with the F-16N, the kit goes together with no problems. 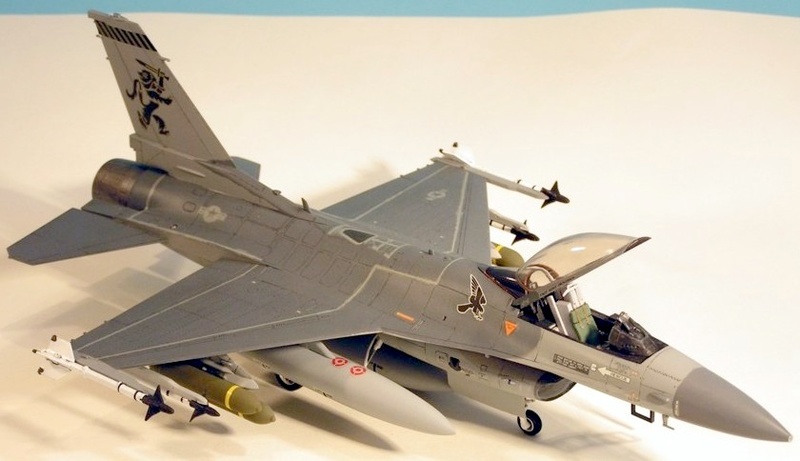 The only additions I made were the cluster bombs (Hasegawa weapons set) and some seatbelts (Reheat buckles and tape). 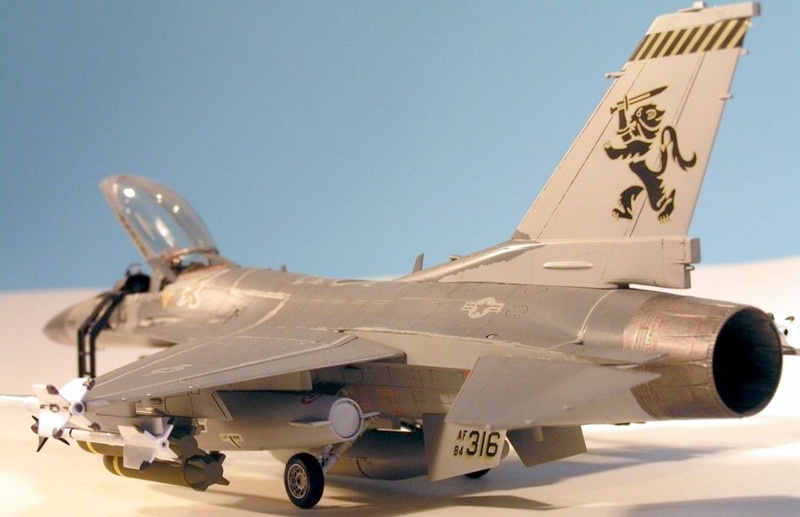 At this point in my modelling career I switched from predominantly using acrylic paints for the finish to Humbrol enamels — the paint of my youth! I made the change because enamel dries a lot slower making airbrushing easier, both in terms of painting and cleaning. 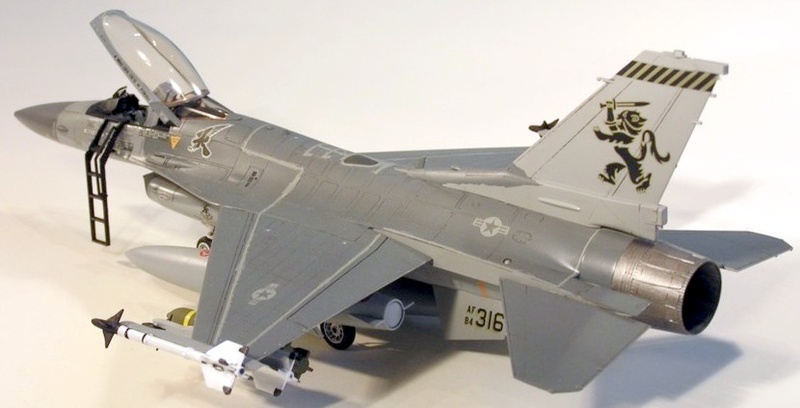 This model was then finished in Johnson’s Klear and an oil wash. 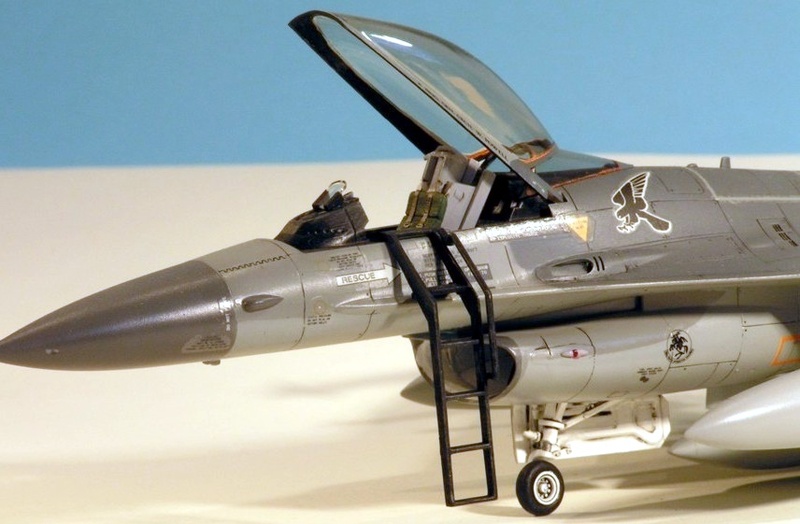 I missed off the nose pitot with the intention of replacing it with brass tube and rod, but never got round to it… My F-16D is a little nicer. © Copyright 2004. All Rights Reserved. Jonathan Bryon.